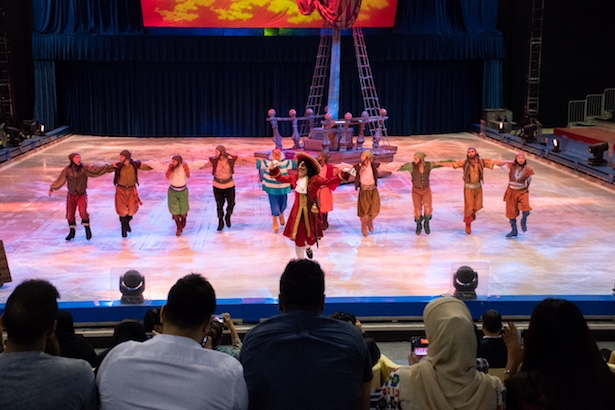 The Bahrain Tourism and Exhibitions Authority (BTEA) hosted ‘Disney On Ice presents Passport to Adventure’ exclusive behind the scenes tour for media representatives and social media influencers. The fun-filled backstage tour featured production numbers, costume and make up demonstration segments followed by a meet and greet session. The spectacular ice show, which will be held at the Bahrain International Exhibition and Convention Centre during the upcoming Eid Al Fitr holidays between June 16th and 20th, will be filled with Disney music and magic in every scene. The audiences will discover four unique landscapes at the ice show, each filled with Academy Award®-winning musical scores and world-class skating, making Disney On Ice presents Passport to Adventure a magical experience family will cherish forever. Tickets are available in four categories: Bronze, Silver, Gold and Platinum, and are sold on manama.platinumlist.net and at Bahrain City Centre. Family packages are also available for the action-packed ice spectacular and offer 15% discount on all categories upon the purchase of 5 tickets.